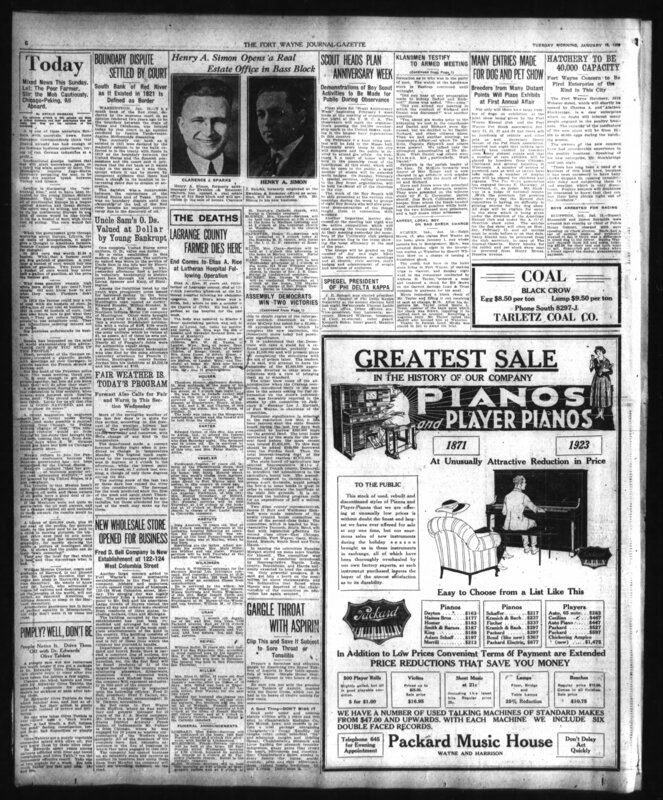 “Henry Simon Buys New Home on Oakdale Drive,” Fort Wayne (IN) Journal-Gazette, 5 November 1922, Section 3, 3. Fort Wayne City and Allen County Directory 1923 (Fort Wayne, IN: R.L. Polk and Company, 1923), 1030. 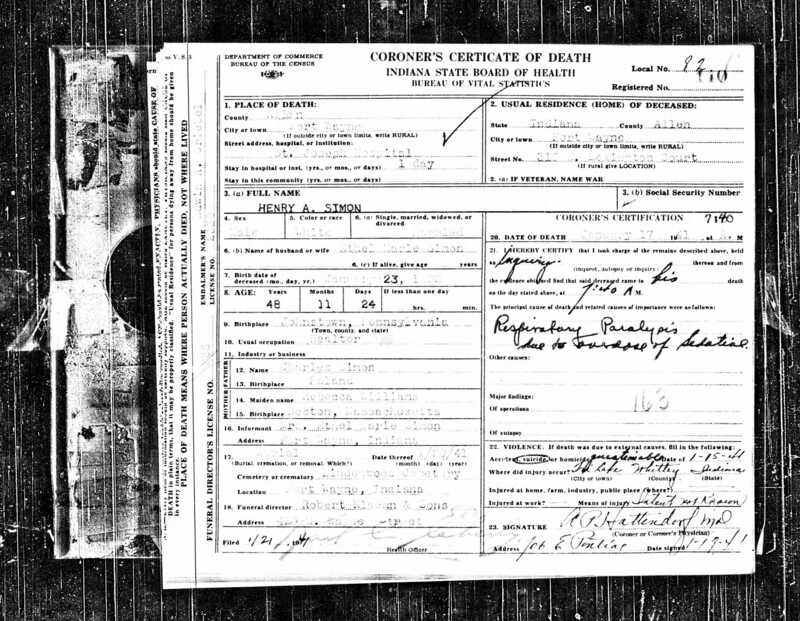 Indiana State Board of Health, death certificates, Coroner’s Certificate of Death Local Number 82D, Registered Number 110, Henry A. Simon, 17 January 1941; database with images, “Indiana, Death Certificates, 1899-2011,” Ancestry.com (http://www.ancestry.com: accessed 14 April 2017). 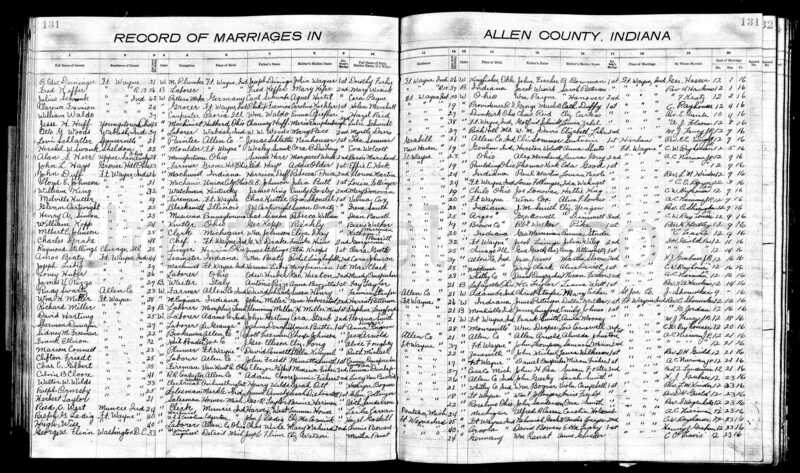 Record of Marriages in Allen County, Indiana, Henry A. Simon, Dean Bowell, 9 December 1916; database with images, “Indiana, Marriages, 1810-2001,” Ancestry.com (http://www.ancestry.com: accessed 14 April 2017). 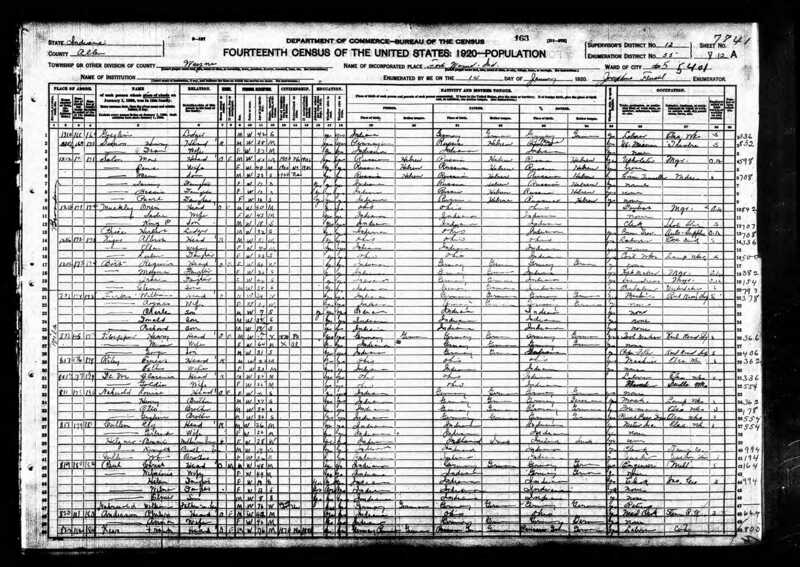 1920 U.S. census, Allen County, Indiana, population schedule, Fort Wayne Ward 5, enumeration district 55, sheet 12A, line 2, family 170, Henry Simon, image, Ancestry.com (http://ancestry.com: accessed 14 April 2017); citing NARA microfilm publication T625, roll 421. 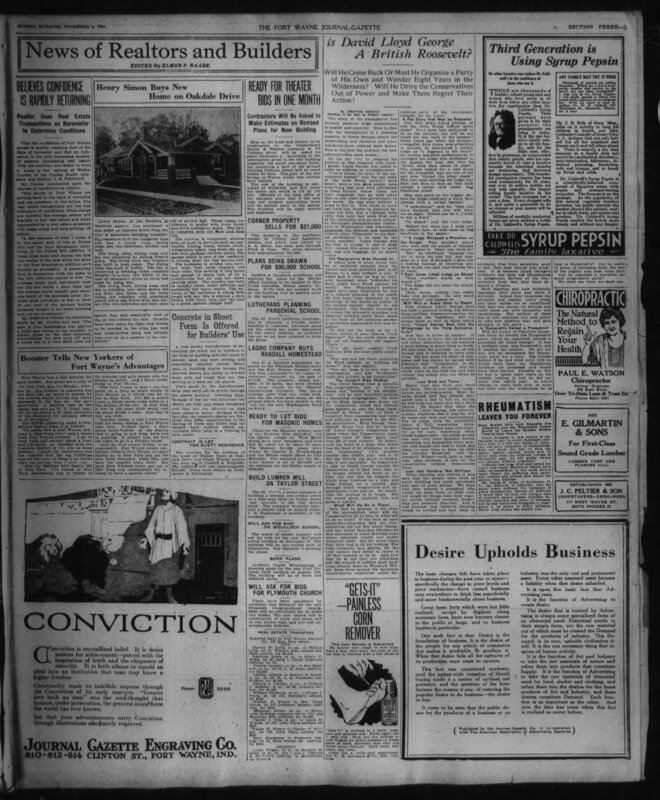 “Henry A. Simon Opens a Real Estate Office in Bass Block,” Fort Wayne (IN) Journal-Gazette, 16 January 1923, 6. 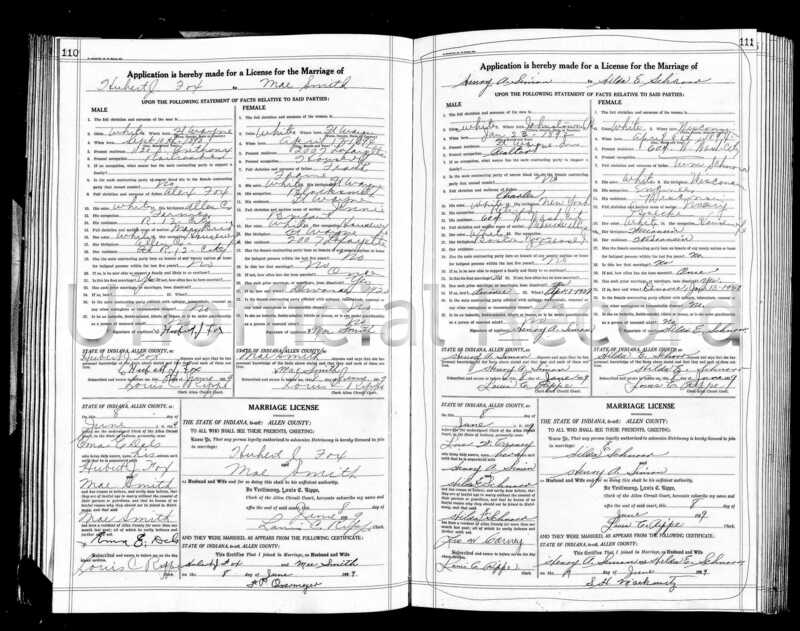 License for Marriage, Allen County, Indiana, Henry A. Simon, Hilda E. Schnorr, 8 June 1929; database with images, “Indiana, Marriages, 1810-2001,” Ancestry.com (http://www.ancestry.com: accessed 14 April 2017). 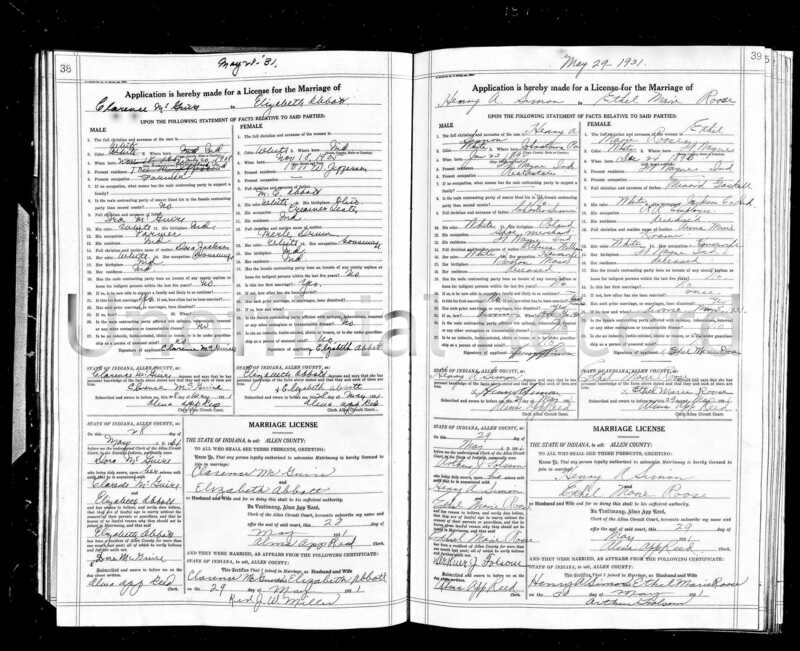 License for Marriage, Allen County, Indiana, Henry A. Simon, Ethel Marie Roose, 29 May 1931; database with images, “Indiana, Marriages, 1810-2001,” Ancestry.com (http://www.ancestry.com: accessed 14 April 2017). 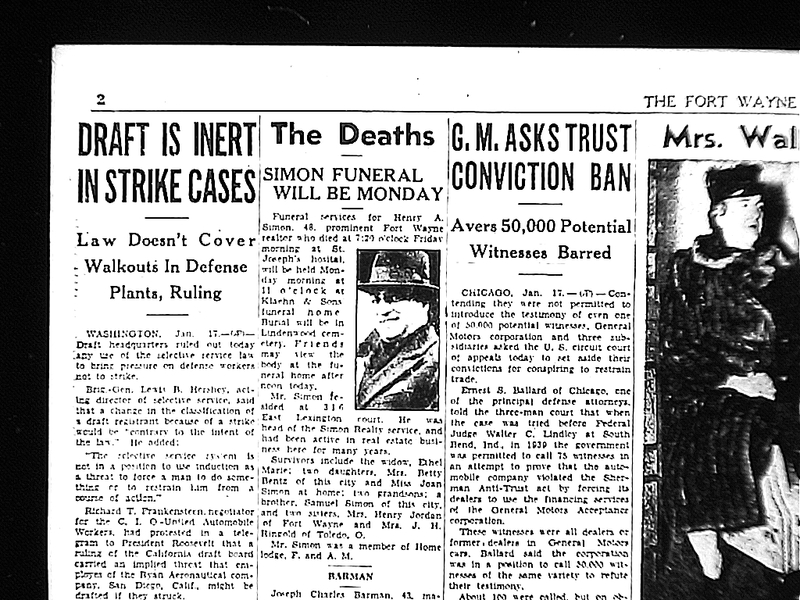 “Simon Funeral Will be Monday,” Fort Wayne (IN) Journal-Gazette, 18 January 1941, 2.